I have a theory about the breakup of Jethro Tull. Well, really the split of Ian Anderson and Martin Barre. Anyone who has seen Tull in concert in the past twenty years has been witness to the obvious decline in Anderson's vocal range. Face it, the guy has been belting out these songs for almost a half a century. And on top of that, the medical issues surrounding his voice have been no secret. Breaking with Barre allows Anderson an excuse to not have to perform the greatest hits of Tull every night, highlighting the fact that his 120 year old vocal chords just aren't the same. With this "new" band (most of whom have already toured with both Tull and Anderson), he is free to pick and choose which of the classic tracks, and even rearrange them for comfort, without having to defend the Jethro Tull legacy. But speaking of legacy, just as his "Thick As A Brick 2" had that Tull sound, this new album fits like an old pair of shoes to the ears of a lifelong fan of the band. 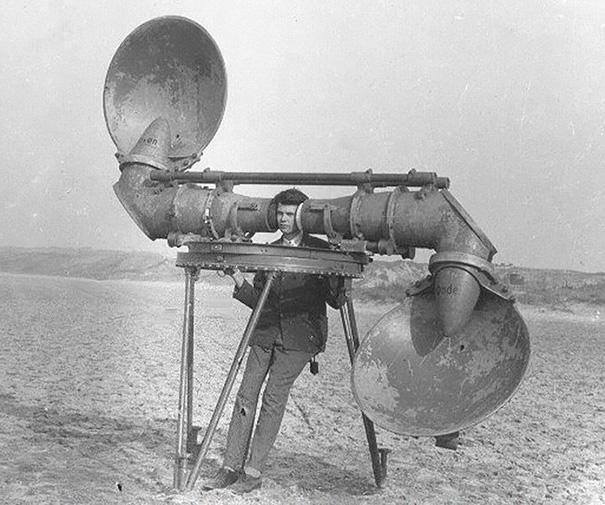 And yes, many of us are crazy enough to wear old shoes on our ears. Even without Barre, the songs have that Tull feel. There are classical based symphonic prog songs, medieval madrigal rock songs, british folk rock, and of course, some hard rockers (what the geezers at the Academy of Arts and Sciences might mistake for heavy metal). Sure, Anderson has been famous for poking fun at the prog rock label, but here he has embraced the form for which he has been a master. The album is yet another concept album from the man that jokingly disdained the form. He uses his music to give his version of the history of man, from 7000 BCE to the year 2044. Lyrically witty throughout, the album is an absolute joy from start to finish (and the liner notes are a must-read). The music harkens mostly to two of Anderson's strong compositional periods. The main styling, is the understated and elegant nineties sound of Roots To Branches (my favorite of the later Tull albums) and the folky, but complex Songs From The Wood / Heavy Horses period. Anderson intersperses classic sounding Tullish pieces with songs that use many of the sounds from the period for which they represent. Honestly, after many spins in my CD player, I still hear new facets of the songs every time I play it. Flutes and medieval melodies can only get you so far. 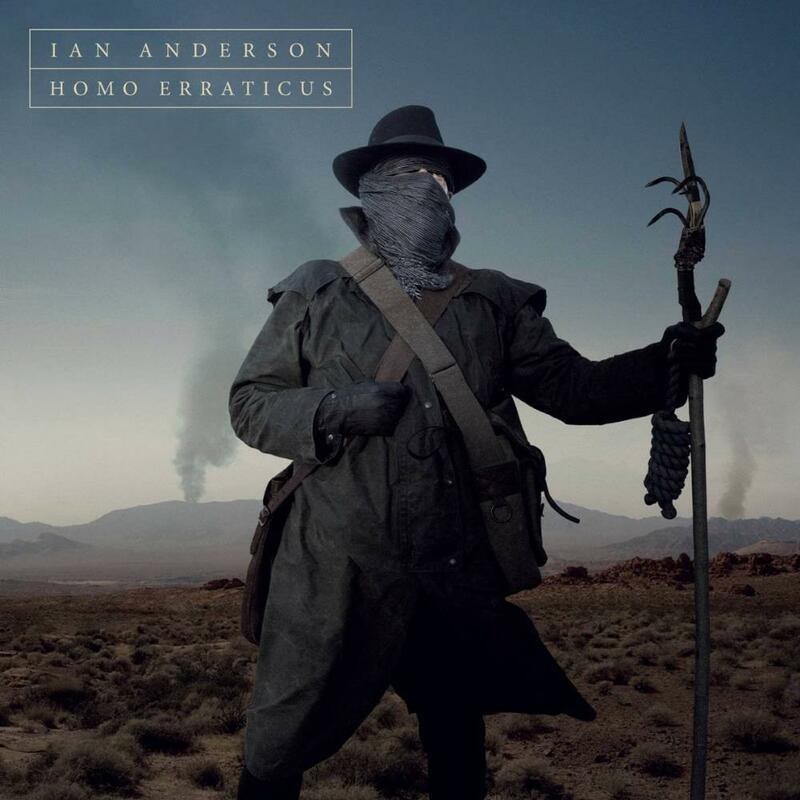 Ian Anderson, renowned for his work in Jethro Tull, has released a new solo work entitled "Homo Erraticus". That's quite an interesting title, as you can probably tell that his focus here is on revealing the inconsistencies and illogical nature of humanity. So far---so good, in my book. Yet, there is so much in this album that just screams "Mediocre". Clocking in at around 51 minutes, "Homo Erraticus" seems to go on forever. You already know what the music sounds like: It sounds like Jethro Tull. Flutes and organs and I'm sure quite a bit of frolicking are all involved here. Anderson is wonderful on the flute, and there are certainly some great flute solos here and there. The rest of the band, in all honestly, barely exists. Oh, sure, there's the bass player (barely) and there's a drummer (beat keeper extraordinaire), but none of them really make any significant contribution. For the most part, this album is about Anderson and his flute. Anderson's strange voice is on display, as well. The lyrics and vox are very folksy in nature, and they don't really require much skill or range. 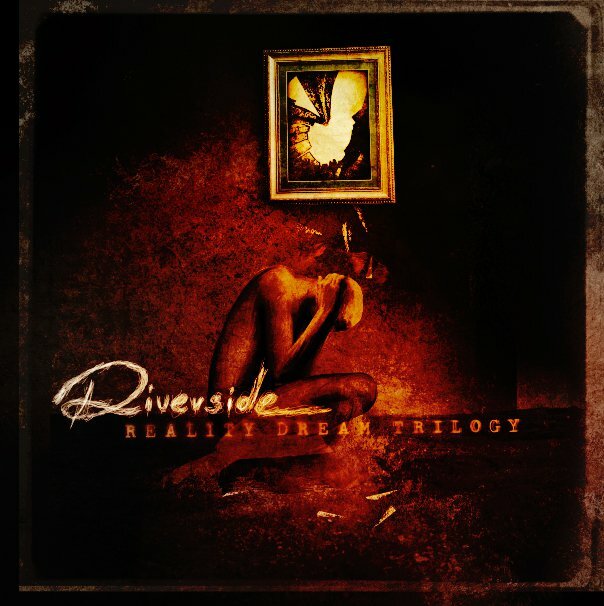 Indeed, this whole album sounds like I should be sitting at a Renaissance festival or something. I mean, I love that kind of stuff, but Anderson composes his music with such dullness sometimes that the added thrill of the medieval flair is lost. As I said, flute solos won't always save you from mediocrity. "Homo Erraticus" is average in just about every way possible, besides flutes, obviously. The album is cheesy as hell, hippy, and just plain cringe-worthy sometimes. Every single song seems to follow the same structure, which is strange for a supposed "progressive" release. Heck, the songs barely have any structure, as they're mostly very short. Anyways, Anderson just loves to give us choruses that sound all the same wherein he says the title of the song very plainly and dully. Basically, every song follows some sort of boring pattern of a verse + chorus + flute solo combination. It gets pathetic after just a few songs. There are some tracks I like. I like "The Turnpike Inn" quite a bit for what it is, and I like the opening track "Doggerland", too. The rest of the album blurs together unforgivably. The promising lyrical content, too, disappoints. It never gets any deeper than the skin, and ends up wandering off in rabbit trails that don't interest me. Ian Anderson's newest solo effort is just another album in a line of disappointments and bores for me this year. The last couple months have been very lackluster in the prog world, and I'm hoping that something will pick up soon. If you like an hour's worth of the same flute solos and songs that all sound exactly the same, "Homo Erraticus" is for you. If not, don't buy it, and maybe Ian Anderson will just go away soon. 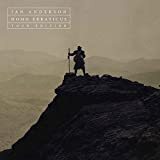 "Homo Erraticus" is the triumphant return of prog legend Ian Anderson on the crest of a soundwave, based ambivalently on a concept segmented in three sections; Part 1: Chronicles, Part 2: Prophecies, and Part 3: Revelations. Following the bold "Thick As A Brick 2", that received mixed reactions, is no easy task, but Anderson has done so with admirable flair. The progger is now 66 years old but still sounds refreshing with his inimitable style, some may say too similar in style to Jethro Tull with his storytelling vocals. The flute is here; man, is the flute ever here! It is a constant presence and played brilliantly. Feast your ears on the mesmirising flute on the dark atmospheric 'Puer Ferox Adventus' and 'Tripudium Ad Bellum' that absolutely flourishes with quirky exuberance and dynamic flutters as only one- legged Anderson can perform. He is a masterful musician but his vocals still endear and he captures some beautiful emotive moments such as on 'After These Wars'. His voice is easy on the ears and relaxing these days, mainly straight forward rather than layered or with reverberations. The album features some glorious Tull throwbacks such as on heavy handed killer opener 'Doggerland' and the divine showstopper 'The Turnpike Inn'. Martine Barre is a thing of the past nowadays but I still love the lead work by Florian Opahle such as on 'After These Wars'. The Hammond is given a workout by John O'Hara augmenting a 70s sound to the musicscapes as on 'New Blood, Old Veins'. There are some ironic moments such as on 'Heavy Metals' where there are folk acoustics and not a shred of distorted metal. 'Enter The Uninvited' has beautiful harmonics sounding similar to Sigur Ros' 'Staralfur' in the intro. The flute is lilting and the time sig is fractured, with some of Anderson's more aggressive vocals and an endearing melody follows on this definitive highlight. I like the clever lyrics referring to many familiar pop culture icons such as Burger King, GI Joe, Elvis hips, bubble gum, facebook, Apple Mac, Star Trek, Baywatch, Friends, West Wing and Walking Dead. The album features some transition points with very short musical breaks like 'In For A Pound', but that works as a kind of evolving storyline. 'The Browning Of The Green' has a more distinct rock feel and some wonderful keyboard work over a riffing guitar distortion, and I love the flute and guitar break. The music is often laced with pompous medievalism, even lapsing into dialogues and off kilter effects such as with 'Per Errationes Ad Astra', but it captivates, growing on the ear with every listen. 'Cold Dead Reckoning' is one track that really stayed with me with its atmospheric melodies and pounding rhythms. I found this latest Anderson release to be a very enjoyable album musically and conceptually. I admire the man for continuing to create the music he has become known for without compromise or remorse. Anderson does what he does and he does it well, so if you are a fan you need look no further as you know what to expect, flutes storytelling and catchy melodies; there are no surprises. This is a throwback to the Tull years and it is very welcome as far as this reviewer is concerned. Like the previous Thick As A Brick 2 (and unlike most other Ian Anderson solo albums) Homo Erraticus is a Jethro Tull album in all but name. While Thick As A Brick 2 was good and enjoyable, it did not overly impress me. In the light of this, I frankly wasn't expecting very much from this follow up. But I was wrong. Homo Erraticus overshadows its predecessor and indeed all of the other albums released under Ian's own name. This new album is easily the best that Ian has created since the 1990's and I would not hesitate to say that it is up to par with many a Jethro Tull album! Another surprise is that Homo Erraticus has appeared so soon after Thick As A Brick 2, especially having in mind that the last proper (I'm not counting the Christmas album) Jethro Tull album was released fifteen years ago! 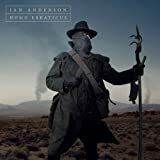 I'm very happy to see that Ian Anderson is being prolific once again and that he manages to make albums of such a high quality as Homo Erraticus. There is here clear evidence of a new found inspiration and regained energy that I mistakenly thought he had lost (at least as a song writer and recording artist, he continued to be great live during the last decade). The band that Ian has chosen for himself is very good too and I don't really miss anybody. Working with these people seems to have invigorated him. I must admit that this album didn't impress me on the first couple of listens, but it quickly grew on me over further listens. It has now had a constant presence in my headphones for some time and I don't seem to tire of it, but instead continue to discover new aspects of it. It certainly reveals itself to be a more complex piece of music than a quick glance at the track list might suggest. 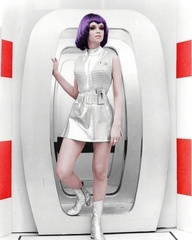 It is not really just a collection of 15 shorter songs, but rather a three-part concept album about the history of man! The lyrics are intricate and much more interesting than on Thick As A Brick 2. Homo Erraticus is simultaneously Ian Anderson's best solo album and an excellent Jethro Tull album. Highly recommended! No one can say Ian Anderson isn't ambitious. But the author of "Thick as a Brick" and "A Passion Play" may have chewed off more than he (or we) can swallow with his latest project: a three-part, fifteen-song chronicle of humankind in Britain, beginning nine millennia ago and charting a sporadic path to an uncertain near-future circa AD 2044. The epic scope would have challenged even the most determined Progressive Rocker, without even considering the concept behind the concept: an over-elaborate fictional back-story involving Anderson's old doppelgänger Gerald Bostock. It's reassuring to see him embracing his inner-Progger so warmly, albeit almost to the point of suffocation. It can take longer to digest the contents of the CD booklet, with its copious lyrics and tongue-in-cheek essays, than to sit through the CD itself: a sure sign of thematic overkill. The music itself might almost have been an afterthought, all of it typically well-played and lavishly produced but hardly distinctive or even memorable, and like his recent "Brick" sequel entirely too lyric-driven, without a lot of melodic hooks to grab hold of. On his web site it's referred to as a "Jethro Tull album (in all but name)": strictly sales talk for susceptible fans. It's true that Tull has always (or at least since 1969) been Anderson's vehicle, but at its best the band was also a genuine group, with distinctive personalities among the many players. What's missing here is the synergy of a true ensemble. The new quintet is certainly competent but, unlike classic Tull, completely anonymous, despite all the cosmetic similarities. Why hire young talent if the end result is only a watered-down facsimile of bygone days? At the age of 67 Anderson isn't ready to settle into his dotage yet, and more power to him. But I wish the Tull CEO would stop resurrecting the Bostock persona, although I understand his intuitive reasoning: it's a link to his more creative (and far more relevent) musical youth. In the early 1970's Anderson was celebrating the virtues of Living in the Past, and it's nice to hear he hasn't completely changed his tune more than forty years later. Progressive Rock needs all the champions it can get these days, but perhaps it's time for him to leave the past alone and start looking forward again. Post a review of IAN ANDERSON "Homo Erraticus"